It has been a month since the Nepal Earthquake occurred and the digital humanitarian response has somewhat slowed. We remain mindful of the lives lost and potential long recovery period. As with every emergency now, global civic tech and mapper communities connect. In this case, our friends and colleagues at Kathmandu Living Labs were at the centre. This was the largest collective response as of yet. Time and analysis will tell us how effective we were and inform the next stages. The number of contributors across organizations with diverse skillsets/offerings ranged from 40,000 with Tomnod, 2800 with MicroMappers with leaders Standby Task Force (Over 170) and over 6000 with Humanitarian OpenStreetMap Team. We were inspired by the tremendous leadership of Kathmandu Living Labs(KLL) who together with partners like Humanity Road deployed of the most successful Ushahidi deployments for crisis response. KLL also co-lead the Humanitarian OpenStreetMap Team activation. It is increasingly evident that the response changed Humanitarian OpenStreetMap Team’s (HOT) community. Now that some of us have had some time to rest and reflect, it is only fitting to host a session at State of the Map US on “Your Neighbour is Mapping“. How can we learn and foster civic tech like OpenStreetMap around the world, especially building on the lessons from the Nepal response? And, while we think big, consider neighbourhoods and regions that could be foster the civic tech spirit of OpenStreetMap in their own language, culture and traditions. Add to a discussion how to diminish the mapper gender divide. 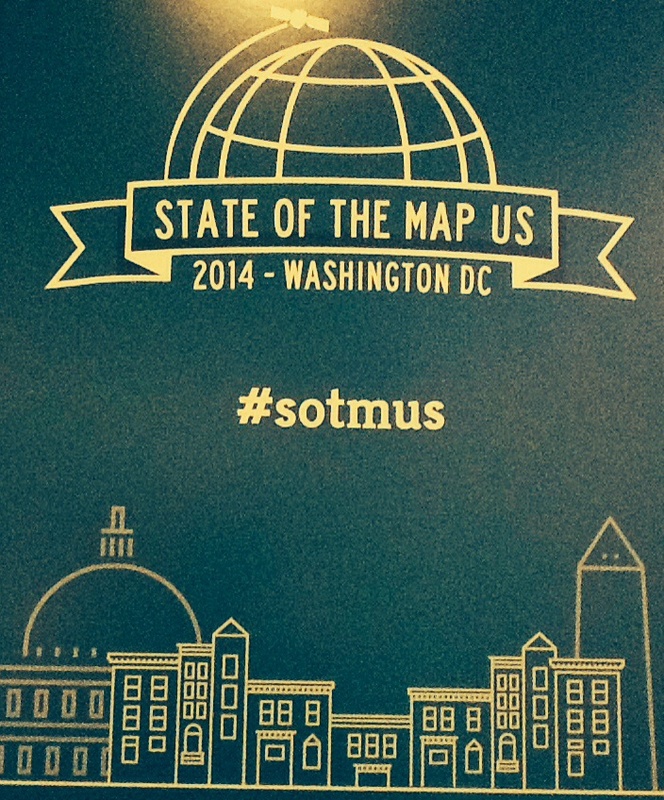 State of the Map – US Tickets are going fast (Get yours by June 1st, 2015). State of the Map – United States – Join us! 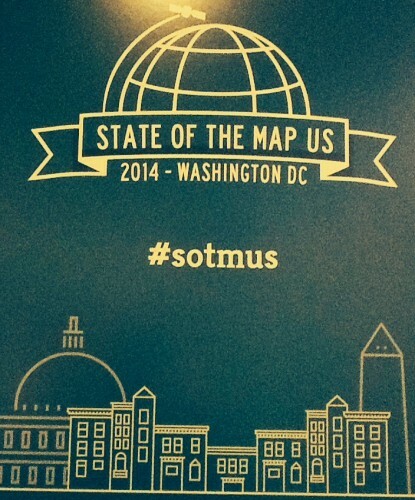 State of the Map – US, organized by the OpenStreetMap US team, will be held at the United Nations. There are many sessions about the wider OpenStreetMap community, technology and use cases. HOT members and community contributors will also be leading a number of conversations. Leaders include Dale Kunce, Kate Chapman, Mikel Maron and John Crowley to name a few. We are also planning on hosting a Birds of a Feather (informal chat) about HOT and the community. Together with Ivan Gayton of Medicine Sans Frontieres (MSF) I will be co-hosting a session. We want to spark a conversation on how we think OpenStreetMap’s community can get to the next 1 Million people. Both of us will ask: “what does implementation look like?” (even with the hard questions) There are many OSM and HOT projects around the world each with their own networks and activities. Drawing on his Missing Maps experience, Ivan will cite his lessons from hosting Missing Mapathons and field work in the Democratic Republic of Congo. (Missing Maps is a partnership between HOT, MSF and American Red Cross). As a HOT Board member for the past 3 years, I’ve been engaged in many community maturity and community growth conversations. We need to keep building on this. With some many contributors, how can we improve their experience and keep them engaged? To me, OpenStreetMap changed with the Nepal response. HOT changed. This a great thing. Now, how do we learn and pivot? Mapathons from Japan, Brazil, US, to Germany, local leaders in Nepal, and over 6000 contributors globally mapping using pre- and post-disaster imagery were just some of the community highlights from the Nepal response. Add to that all the guides on how to map everything from heliopads to Displaced Persons Camps and very detailed discussions about process, validation, imagery analysis and best practices for onboarding new mappers. HOT has always been an accordion growing for large activations and staying the course for longer term projects. We have learned so much about what we need to be more sustainable. This means everything from better training, software improvements, community microgrants, mentorship, and community development. But the biggest reminder is what makes HOT so special: yet again the local community, in this case, Nepal truly lead and taught the global ‘surge’ support what was needed while collaborating with official humanitarians. We need to foster local OSM communities and civic tech hubs like Kathmandu Living Labs or HOT Indonesia. And, in doing so, recognize that we have so much to learn and share about global collaboration. It is my theory that much like the open data movement, these large pockets of OSM will alter the fabric to make it truly global. There were some moments during the Nepal Response when I would open my email and gasp with pride at the sheer collaborative generousity of people trying to map for good. The earnest spirit and drive to deliver the best maps to support humanitarians is what drives me to support HOT as their President. So, funders, (warmly) get ready for some phone calls. We need help to keep the momentum. And that we see how the lists of items that the new and long-standing contributors provided deserves consideration. I live in Doha, Qatar. When I moved here I researched the state of “open communities” and made some contacts. Some allies include QMIC, AL Jazeera, IctQatar, Qatar Living and Mada Qatar. At Qatar Computing Research Institute, we also use and create open source software, including OSM. The crux of the issue is that Doha is changing everyday and maps are quickly out of date. But, if there was a strong OSM community then this could be tackled. Countless times trying to explain location with faulty GPS or building names teaches me daily on the true need for OSM to grow here. There are people who want to build businesses on top of the base layer. They want the skills. Some immediate goals are to translate LearnOSM.org needs to be in arabic and begin hosting mapping parties. The good news is that I have located a small map cohort. Come September, we will host Maptime Meetings. Now, Doha does not need HOT for ‘economic development’ like other regions of the world, but Doha’s OSM mapping community will benefit from HOT tools and best practices. What can every community learn from OpenStreetmap? Often community managers particularly in OS communities cite OSM and Wikipedia as the top models to compare. At State of the Map US, there is a whole track to share best practices. John Firebaugh (Mapbox) and Kathleen Danielson (OSM US) gave great talks on their experiences. It is a good thing they are recorded as I’m adding them both to my list of Community is hard and beautiful resources. So, at a time of change in a number of communities, we should really heed John’s sage guidance, and, of course, remix for our own context. 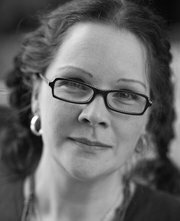 One topic that Kathleen raised is her distain for discourse loops via mailing lists. Another commenter mentioned their dislike of wiki(not always updated). I guess we could call this the old wars for communities(as one friend opines): mailing lists vs. x (x=forums, irc, wiki etc). As far as I am concerned there is no one source of truth. We need to use all communication tools to reach community where they are. Tall order, but as John rightfully pointed out: over communicate. Finally, it is spring. What better way to wake up brain cells than spending the weekend with maps, map nerds and ideas. For the morning sessions, I attended sessions to consider the true potential of business and technology in the OpenStreetmap community and the wider network. Eric Rodenbeck of Stamen Designs uses OSM for half of their map projects. Giving back to the community, Stamen provides some of their beautiful designs for free (eg. Watercolour). They served 250 million free tiles in March 2014. An example of the extensibility of OSM is the potential to add a layers of useful information on a map highlighting the park than just the roads. (They did a National Park project which used OSM which included custom pins.) The potential of OSM in business, according to Rodenbeck, is to financially viable, more exposure and paying it forward. All the sessions are being recorded so you can watch the talks after Monday.